If you find yourself identifying with all those “gauc is extra, but so am I” memes on the Internet, then chances are you don’t cower in the face of extravagance. Most definitely not when your sartorial sensibility is involved. 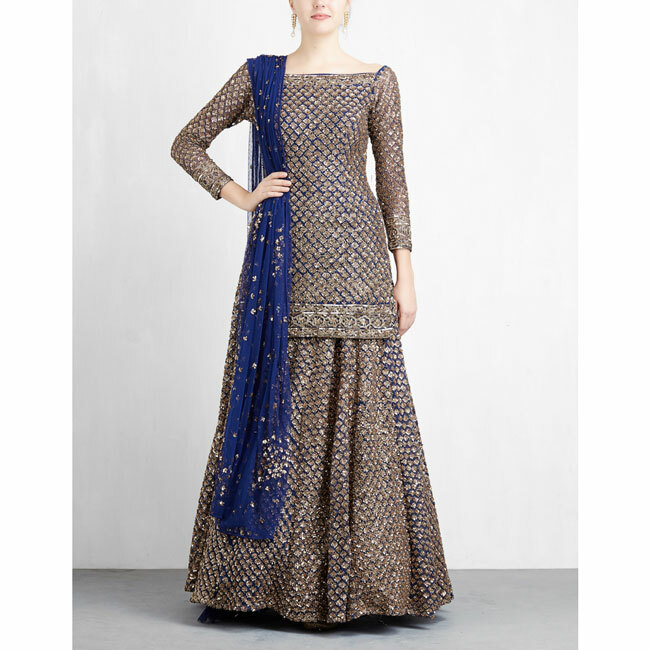 In fact, excess might be the very sentiment around which your entire wardrobe has been built. We’re all for minimalism and a pared down aesthetic when the occasion calls for it, but if you’re not entering the wedding season guns blazing, then why are you doing it at all? Dial up the flourish, and inject your wedding wardrobe with some fearless tongue-in-chic glamour. There might not be any street-style photographers whose eye (or camera lens) you can catch, but perhaps this individualistic statement will help you make it to the wedding video—and that’s not half bad. If ‘more is more, and less is a bore’ are keywords rather than buzzwords for you, putting bold looks together is probably second nature to you. If you find yourself stuck, just take a breath and think, “What would Iris do?” That’s your starting point. Take outré international trends and wear them with an indigenous take. Print on print at the sangeet? 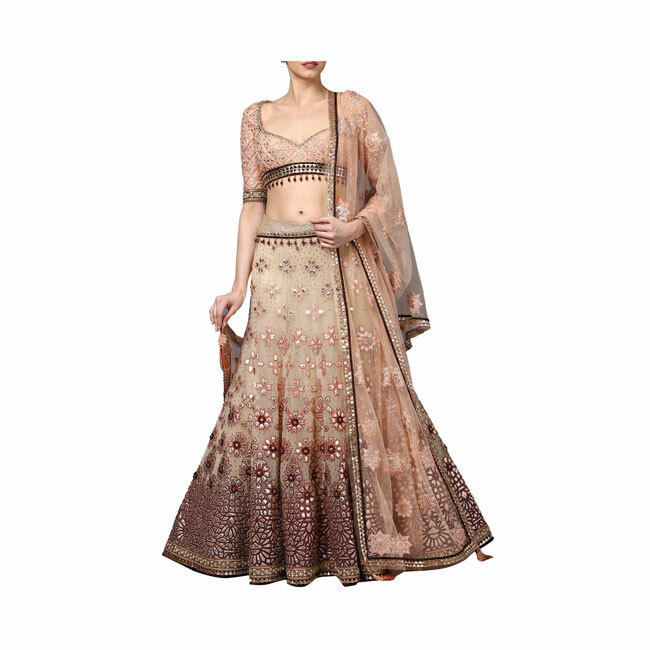 All you need is a Benarasi lehenga paired with a brocade blouse in a clashing print, but with complementing colours. 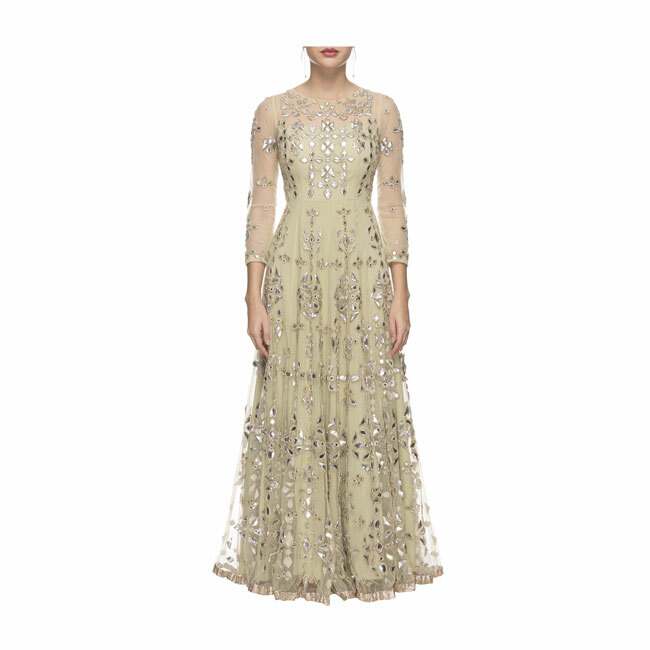 Ruffles, feathers and fringes—whether on your anarkali sleeve or your dupatta hems—are easy ways to get in the maximalist state of mind. Tried-and-tested bold colours and head-to-toe embellishments will always be there to do your bidding, but that’s not to say soft hues can’t create drama. 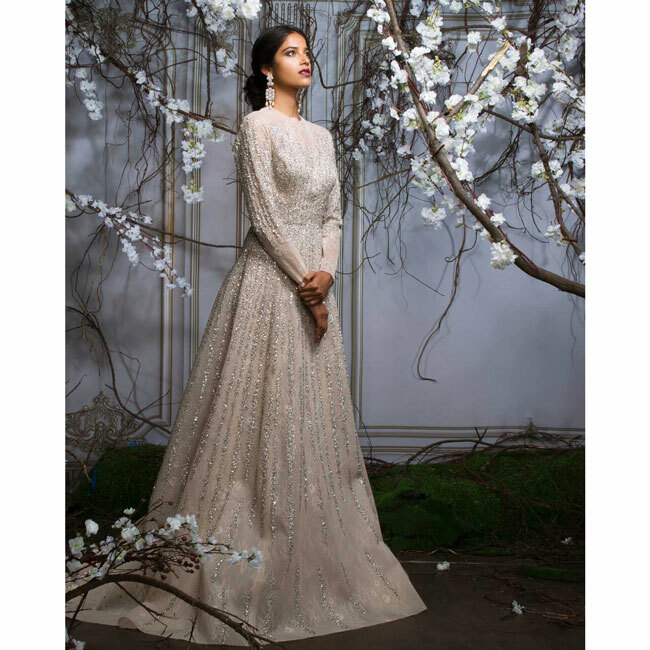 For instance, a heavily embroidered blush-toned chikankari lehenga or sharara with jewels to match, is as look-at-me as it gets. Since we’re talking weddings, it’s the jewellery and accessories that will help you pack in that extra punch. You don’t need to stop at the chandbalis and matching maang tikka for the fear of being too much. Go ahead and wear the layered necklace as well, if you so please. Instead of neutral-toned bags, pick ones that are statement-makers by themselves. A pearl-work potli or a bejewelled chain-strap bag might be more fitting choices. But bear in mind—OTT doesn’t mean gimmicky. Brazen is an inherent attitude, and if you’re only jumping onto a bandwagon, you’re bound to slip. Maximalism and comfort are not mutually exclusive. Nothing should stop you from wearing sneakers under your heavy lehenga at the baraat, if dancing is the only thing on your mind. 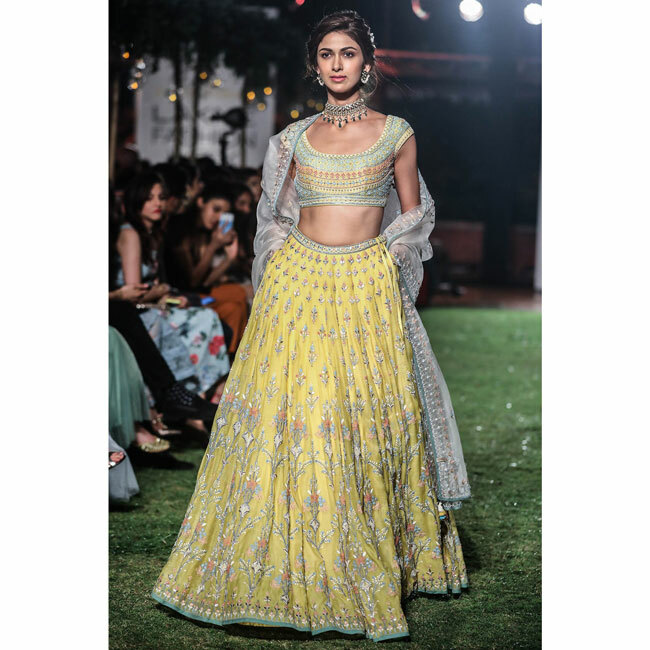 Browse through our slideshow for lehengas (plus shoes and bags) that will help you ace the maximalist wedding look this season.